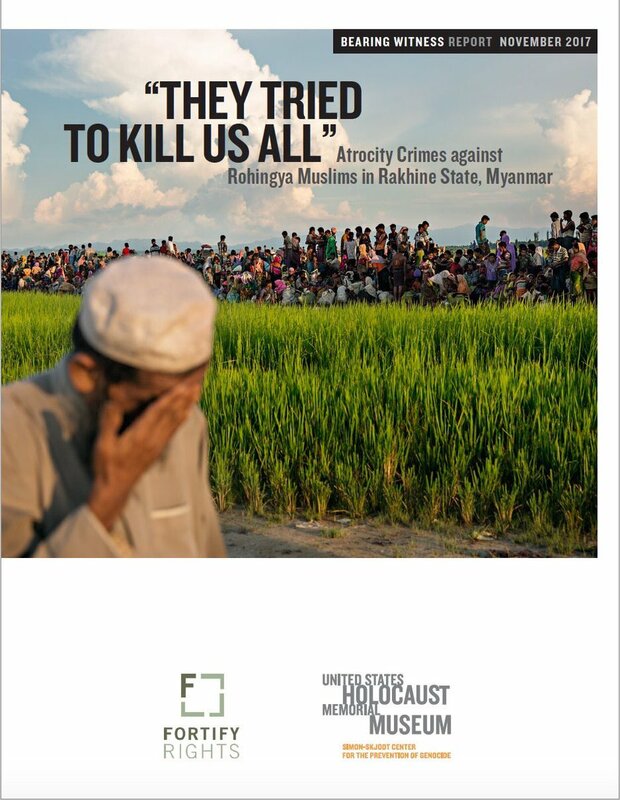 A new report by Fortify Rights with the Simon-Skjodt Center for the Prevention of Genocide documents the crimes against humanity and ethnic cleansing committed by Burmese state security forces and civilian perpetrators in two waves of attacks on Rohingya men, women, and children in 2016 and 2017. The report is based on more than 200 in-depth, in-person interviews with Rohingya survivors and eyewitnesses of atrocity crimes, including more than 100 Rohingya women, as well as aid workers. The report recommends urgent action by the government of Myanmar, including prosecuting perpetrators and allowing access to aid agencies, and by the international community, including targeted sanctions and an arms embargo.